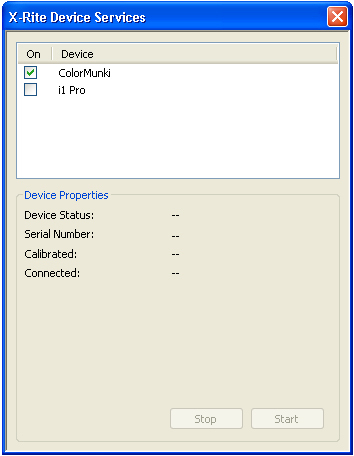 First, find your Control Panel (PC) or Preference Pane (Mac) called X-Rite Device Services. Double click to launch it. You will see a list of your available devices. Simply uncheck the checkbox next to the one that you want to use in your third party software. When you are ready to use your hardware with X-Rite software again, simply return to X-Rite Device Services and check the box beside your selected hardware. Then launch your software and start measuring.